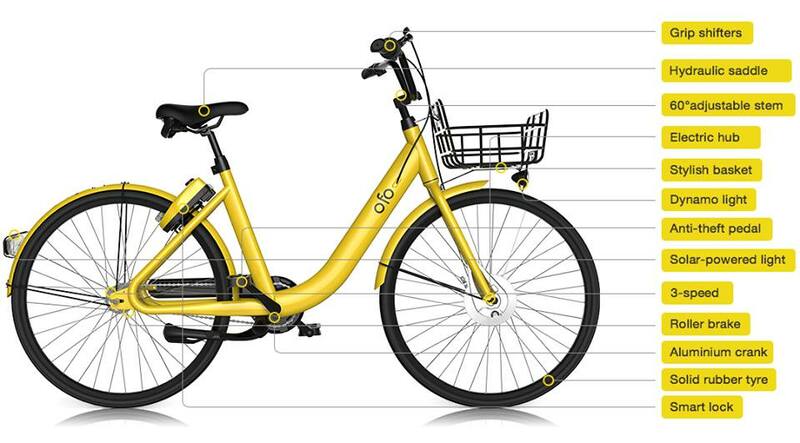 ofo (/ˈoʊfoʊ/) is a Beijing-based bicycle sharing company founded in 2014. It operates over 10 million yellow bicycles in 250 cities and 20 countries, as of 2017. The dockless system uses its smartphone app to unlock and locate nearby bicycles, charging an hourly rate for use. I noticed two ofo bikes outside the office on my way in today. Maybe I'll ride on home on Thursday, when I tend to be here without the car. Never heard of it before this morning.